As you may already know, Only Watch is a biennial charity auction of unique timepieces (one-off) donated by watch companies with 99% of the proceeds going to Duchenne Muscular Dystrophy research. 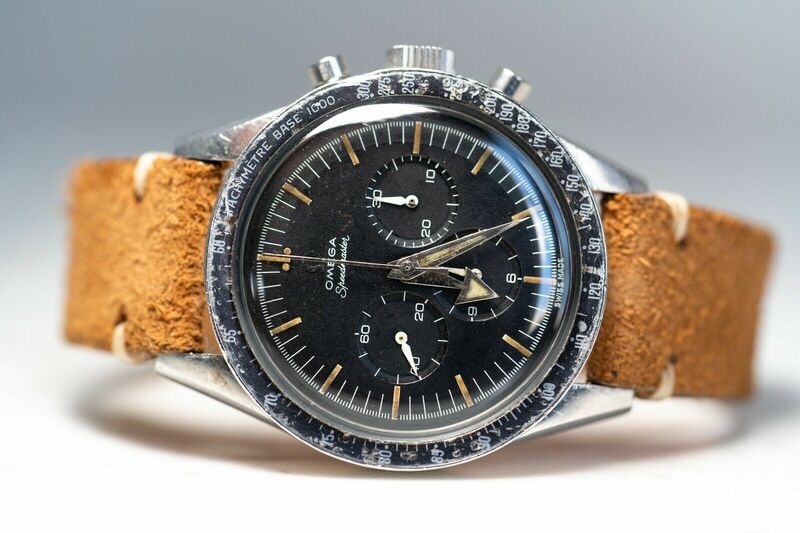 It takes place at Christie’s in Geneva this Saturday, at 2:30 pm Geneva time. Today we will begin previewing a select number of pieces we photographed at Christie’s in New York last week. The Only Watch 2017 Maurice Lacroix Aikon Automatic Chronograph (Lot 17) represents the first time the Aikon – which was inspired by the brand’s “Calypso” watch from the 1990s – comes with an automatic movement. This one-of-kind timepiece comes in a 44 mm x 14 mm black and dark gray stainless steel case, with bright yellow highlights in reference to the colors of Only Watch. The surfaces have alternating matte and polished finishes. The dial and case are reminiscent of a Royal Oak. Only Watch is emblazoned in bright yellow across the smoked sapphire crystal caseback. 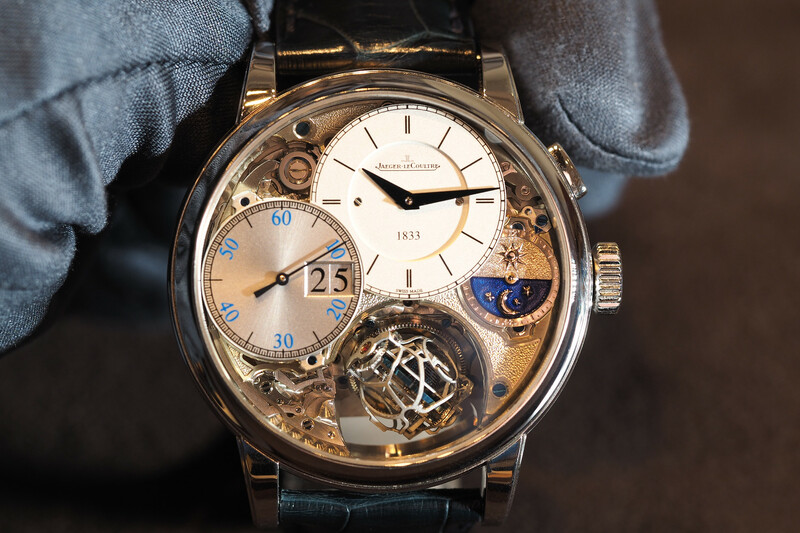 Underneath the darkened crystal you can see automatic movement which beats at 4Hz (28,800 vph), has a 48-hour power reserve, and is finished with perlage on the mainplate and bridges, and Côtes de Genève on the rotor. 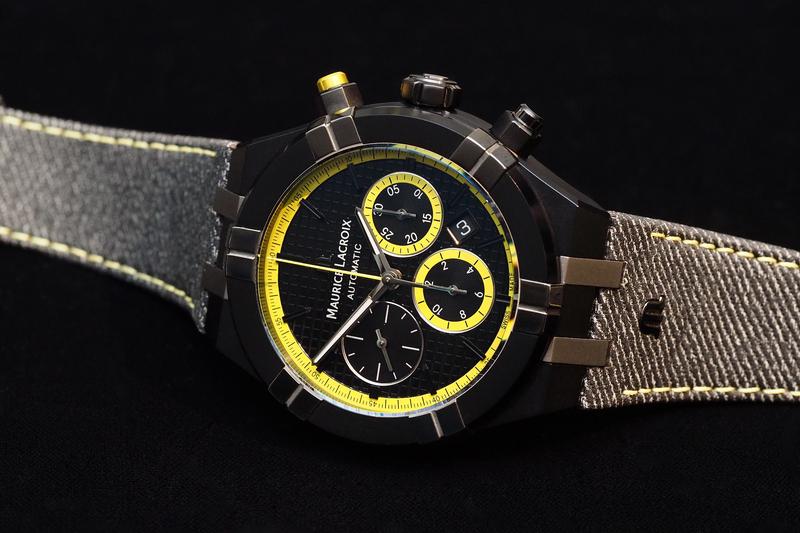 The Only Watch 2017 Aikon Automatic Chronograph is completed by a gray leather strap with gray denim pattern and yellow stitchings.